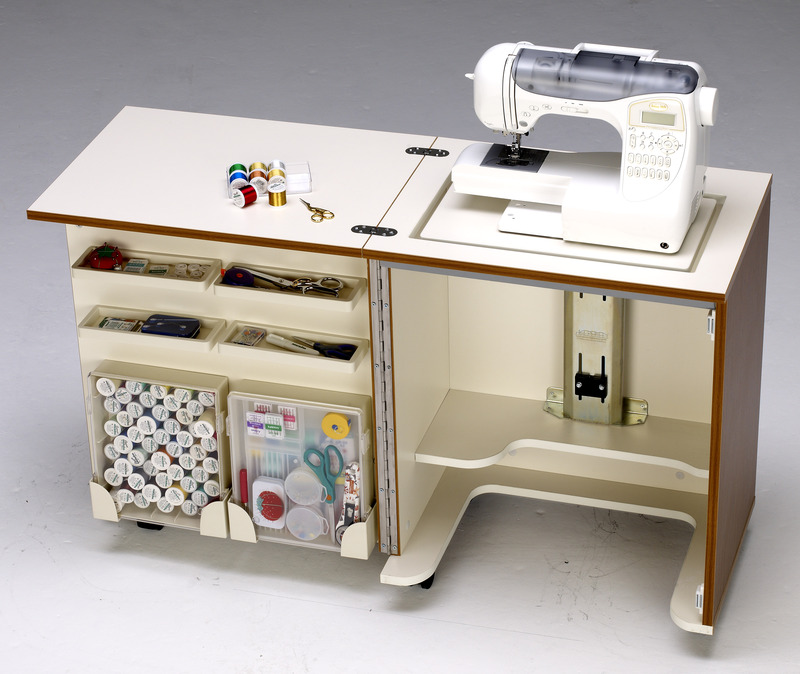 Tired of lifting your heavy sewing machine every time you need to store it away? Tailormade's 3-Position Air Lift eliminates the heavy lifting, and help you maneuver your machine with ease! Lift the machine to the top for Free Arm/Embroidery work. 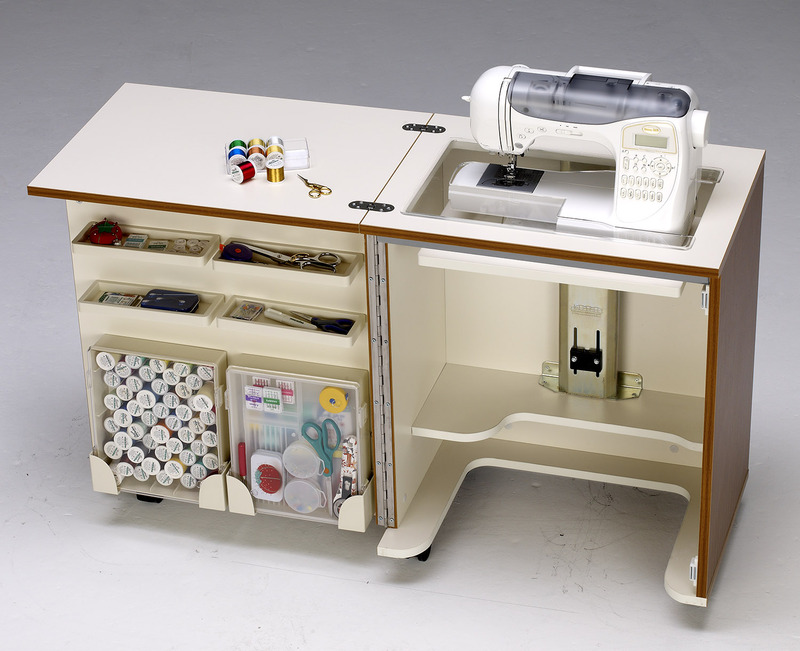 Lower the machine down a few inches for a smooth Sewing-Flatbed surface. 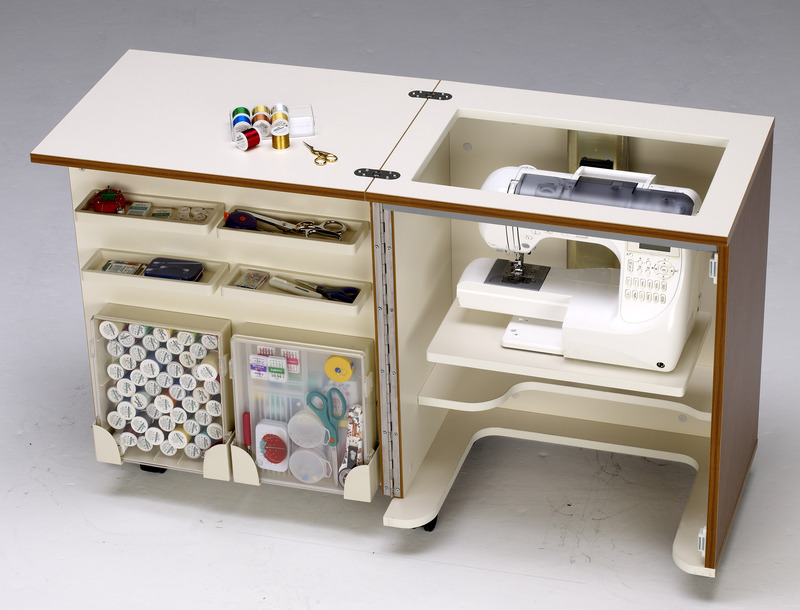 After a long day of crafting, you can lower the air lift to the bottom for clean storage space without having to pick it up!